What Do You Do in High School Softball Tryouts? High school can be tough, and helping your child prepare to try out for any of school athletic team is filled with unknowns, even if she's played that sport at lower levels. 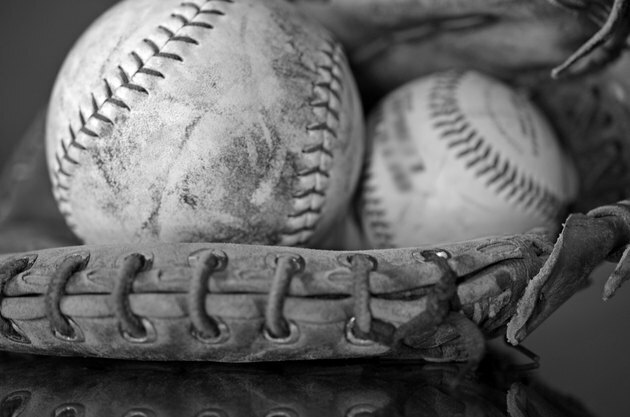 The school’s softball team, for example, will have a series of tryouts to fill its roster, and these tryouts may include numerous drills that your child has never experienced before. The drills are intended to identify the strongest and weakest players. The first series of tryouts will usually begin with conditioning drills to assess the overall fitness of prospective players. These drills will include warmups, basic calisthenics like jump rope, jumping jack and situps, short running and jogging drills and timed runs along the base paths. For tryouts at higher levels – high school, club teams and above – prospective players may run two-base drills for time. The two-base drill begins with the player standing on first or second base, then running top-speed through two bases. The drills are usually from first-to-third or from second-to-home plate. To gauge skill and familiarity of defensive play, prospective players will undertake a series of fielding drills. These begin with a short-toss warmup that evolves into a long-toss drill. One common tryout drill is the “Throw for Release.” According to softball coaches Judi Garman and Michelle Gromacki, authors of "Softball Skills and Drills," this drill is perfect for tryouts and possesses numerous variations that allow coaches to assess the defensive skills of prospective players. Other fielding drills include fielding ground balls, shagging pop flies, around-the-horn throwing, throwing to cutoff players between the outfield and the infield, and situation-specific drills. According to softball coach and president of the National Softball Coaches Association, Cindy Bristow, tryouts will include “frustrating” situation drills to gauge how prospective players react under pressure. These may include handling double plays and fielding balls off the hop. Each prospective player will stand in the batter’s box and take swings. For multi-day tryouts, each day will involve plenty of time hitting, with balls soft-tossed from a coach and balls launched from a pitching machine. Coaches will look for mechanics, footwork, experience and execution. Players will usually get a set number of swings for each session, and prospective players need to make the most of them. During batting sessions, some prospective players will shag fly balls in the outfield. Depending on the size and level of team, the end of tryouts will usually conclude with player selections and initial positions. All other players will either be assigned to a reserve list, to a lower-level team – especially for high school – or cut entirely after these selections are posted. For multi-day tryouts, some teams will make initial cuts at the end of each day to whittle down the list of prospects; other teams will wait until the end of the final tryout day before making cuts and selections. What Is Involved in High School Football Tryouts? How Do WNBA Tryouts Work?